One of Perth's greatest ocean mysteries sits just 50kms off the coast behind Rottnest Island and is known as The Perth Canyon. Once an extension of the Swan River, the trench reaches depths of up to 4,000m and has been found to hold unique corals and marine life. Deep sea assemblage including a Flytrap anemone and Basket star: The venus flytrap anemone is clinging to the stem of a soft coral, while a basket star has all of its arms extended into the water column to feed. 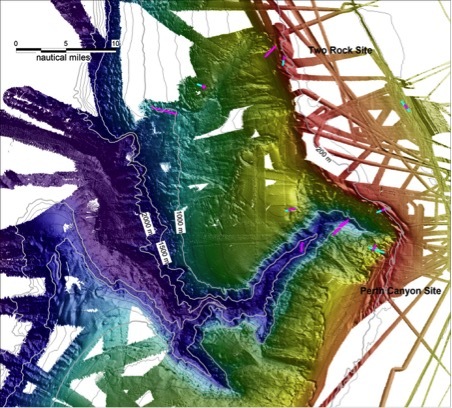 Because of how deep the trench is, little has been known about what lay in its depths until 2015 when scientist from University of Western Australia, Western Australian Museum, CSIRO and the Institute of Marine Sciences in Italy got together to explore and map it with imaging sonar and deep sea submarines to uncover its mysteries. 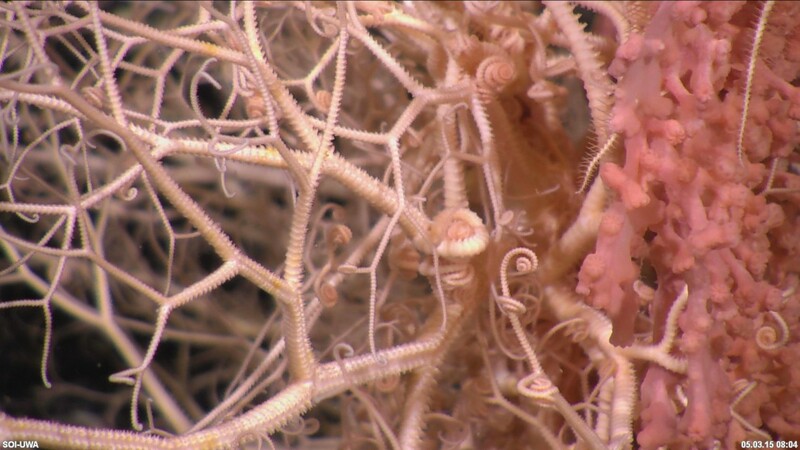 Close-up of a bright pink Basket star fish (Gorgonocephalidae). 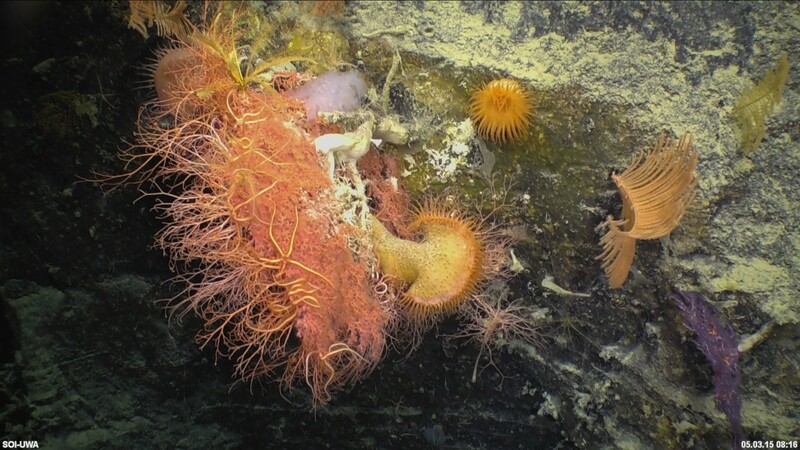 1600m below the surface in complete darkness, they discovered an exciting community of never-seen before corals and Venus flytrap anemones, Brisingid seastars, golden coral (Metallogorgia), basket star (Gorgonocephalidae) and mushroom soft coral (Anthomastus). One of the more fascinating discoveries made was observing the relationship between a shrimp and a "Glass Sponge (Venus' Flower Basket", commonly found in deep sea caverns. 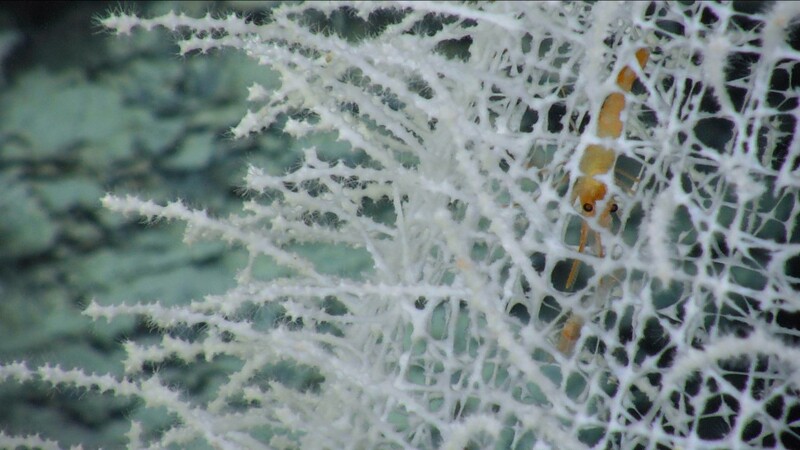 The sponge is made up of silica (the same mineral that creates glass) and forms these netting glass structures from the skeletons and their bizarre relationship with shrimp. Baby shrimp pairs slip through the glass webbing when they are young and as they grow older, they become too big to leave the structure and live in these "glass houses" for the rest of their lives together. "Until death do us part." But, not to worry, the shrimp and the sponge have a symbiotic relationship; the shrimp keep the sponge clean and in return, receive food and protection form the sponge. As the shrimp procreate, their young are then able to leave the sponge and go off and find their own "glass houses".